Update: A quick look at LG V20's listing on B&H's website now reveals that the pre-order date has been changed to October 17. The LG V20 will finally become available this week, but only in South Korea. The company said its new flagship phablet would hit North America, Asia, Latin America, and the Middle East "over the course of the next several weeks". Nothing less vague at this point. 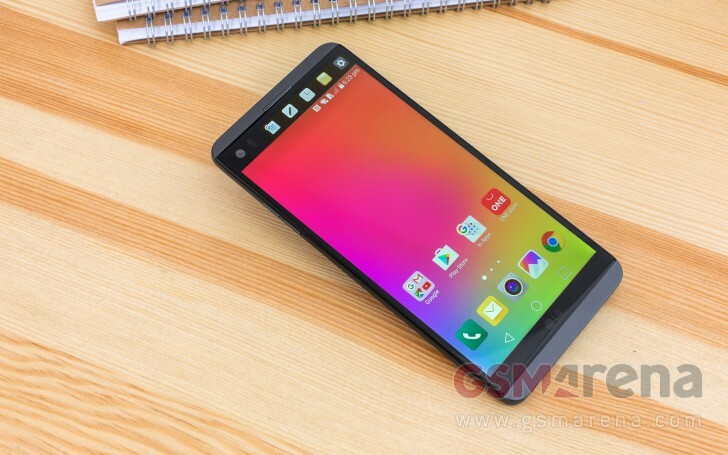 So if you're wondering when to expect the V20 in stores in the US, all we've had to go on up until now has been a rumor claiming its release date stateside will be October 21. Now though B&H, a pretty well known online retailer, has helpfully let us know when it plans on starting pre-orders for the V20. The date is October 2, which is this coming Sunday. Unfortunately it didn't go so far as to also publish a price for the unlocked units it's going to sell, so we're still left guessing on that front. Keep in mind that carriers (and even other third party retailers) might be operating on a different pre-order schedule for the V20. Either way, its launch in the US is definitely getting closer. While you wait for the phone to make it to stores, don't forget to read our review of LG's latest.